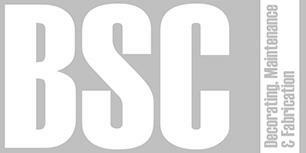 BSC Decorating, Maintenance & Fabrication - Painter/Decorator, Tiler - Tiling based in Woking, Surrey. Hello, my name is Ben, I am an experienced and trusted local tradesman bringing over 14 years of experience to every job. I provide high quality work delivered conscientiously to all my customers. I pride myself in being reliable, honest and hard working. I'm a creative can-do person with a keen eye on the finished detail. My services include, but aren't limited to: decorating, tiling, carpentry (stud walling/skirting/shelving/boxing in etc), dry lining, coving, general maintenance around the home or office and custom fabrication (does something need making but you don't know who to call...). Please call for an initial chat or to book me for a free in person quotation.